Thursday, May 30, 2019, 3:30 – 5 p.m.
Are ethnic minorities treated differently by the Chinese legal system? How does ethnic identity of judges affect sentencing severity? Using a newly and publicly available dataset of more than 120,000 drug offense cases in four ethnically diverse provinces, we present the first analysis of ethnic bias in sentencing patterns in the Chinese local courts. We identify a degree of ethnic bias in the criminal justice system, but that the bias varies substantially across different jurisdictions. In Yunnan province, ethnic minority defendants have longer sentences than Han defendants that have committed equivalent crimes, while bias is less prevalent in nearby provinces Sichuan, Guangdong, and Guangxi. Theoretically, this finding raises the possibility of ethnic minority concentration being a key determinant of sentencing outcomes. When ethnic minority groups hold a large share of the population in a region, and when that region witnesses social instability, minority defendants face disproportionately harsh sentences. Further analysis of county-level data from Yunnan province reveals evidence in favor of this hypothesis. Yue Hou is Assistant Professor in the Political Science Department at the University of Pennsylvania. She is also affiliated with Penn’s Center for the Study of Contemporary China. 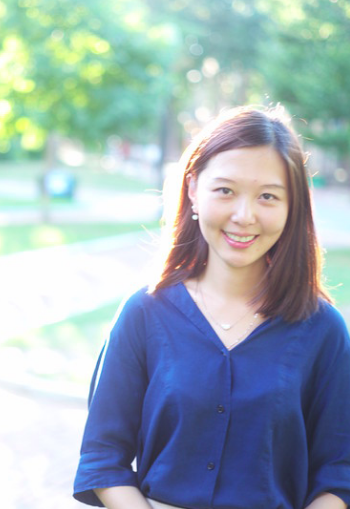 Her research interests include political economy and authoritarian politics, with a regional focus on China. Her work has appeared, or will soon appear, in the Journal of Politics, the Journal of Experimental Political Science, the Quarterly Journal of Political Science, and the Social Science Quarterly. Her forthcoming book, The Private Sector in Public Office: Selective Property Rights in China (Cambridge University Press), addresses the long-standing puzzle of how China’s private sector has managed to grow without secure property rights. Yue Hou also writes for Chinese media outlets such as the Southern Weekly and Tencent iPress. She received her PhD in Political Science from Massachusetts Institute of Technology and her BA in Economics and Mathematics from Grinnell College.